One of life’s little joys is the Indian flyer. As in the flimsy paper variety that float out of my morning paper, not the airborne species. The latter are, oftentimes, not really a joy at all. But the advertising flyers that are tucked inside my paper – ah, now, they are a class apart. 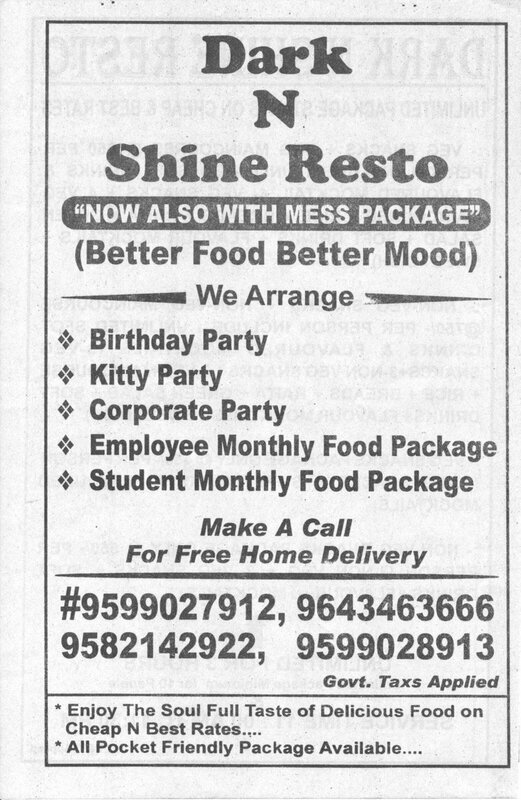 Who could resist a tag line like “Better Food Better Mood”? I’m a tad perplexed by the exact kind of image they are aiming to project with a name like “Dark N Shine”, but I’m sure they’ve thought it all through. Better Food Better Mood and Soul Full Taste…seriously, who could ask for more? Student monthly food package reminds me of sending fruit to our offspring at uni. Must have helped since they are all great adults now!